Voyage to the other corner of the world with American Roulette. This tip-top variation of roulette has captivated all the very best elements of the table game. NetEnt has managed to display these high-quality elements for fervent players at Vegas Spins. After all, there should be reasons to why American Roulette is considered one of the most popular adaptations of roulette in both online and real life casino industries. Be ever ready to start the fun at your favourite casino site. How about checking out all the marvels ready to appear on your screen via this review? Buckle up your seat belts! Hmmm... it is good that you ask yourself about the ways to play American Roulette. In fact, there are no complicated rules for American Roulette. It shares the same type of rule with other roulette games. 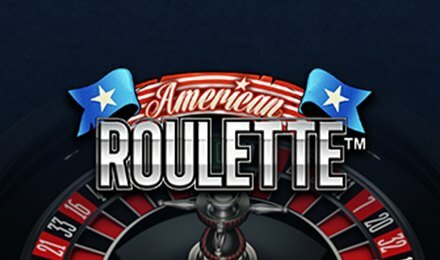 Begin playing American Roulette at Vegas Spins on your mobile, tablet or desktop device. In the game, you are allowed to set the bets of your choice. Go ahead and wager on your lucky numbers. When you are done with the stakes, click the Spin button to start the game. The ball starts spinning and at the end, the numbered pocket in which it lands is declared the winner. As such, all bets that included the winning number are awarded wins. Easy don’t you think? It all begins with bets. Bet Levels: There are no bet levels on American Roulette. However, feel free to stack up your chips to increase the value of your bets. Amount of Paylines Selection: There are no lines available on American Roulette. Coin Values: Feel free to set the wagers of your choice by selecting the chip values from the pool at the bottom of the screen. The game presents a minimum of 0.10 up to a maximum of 1000.00. Do not hesitate to select the ones you'll need. You might be confused by looking at the sequence of numbers on the roulette wheel. That is normal since the numbers are not arranged in ascending order. As such, if you want to target a specific region of the wheel, it might be difficult. This is where the Racetrack Bets comes into action! Click onto the Racetrack Icon to activate it. You will then be able to click directly on the racetrack to set the bets of your preferences. Go for the traditional roulette bets on American Roulette such as Splits, Straight, Three, Corner, Top Line, Six Line, Columns, Dozens, Red or Black and Even or Odds. If you want to check the odds of wins, check the pay table by clicking the ‘i’ icon. You can encounter the double zero number only on American Roulette. This is an attempt to increase the bets ranges and options. Use it wisely! What do you need more to get started with American Roulette? Good luck.